Notification with the passing of EAL/NWA/DL pilot David Robert Vorgias, age 59. Captain Vorgias joined Northwest 03-06-1987 and I believe was based Detroit with both Northwest and Delta Air Lines. He is survived by his wife Denise, their children and many other friends and family members. A memorial visitation will be held Thursday, February 9th from 2-4pm and 6-8pm, at Metcalf & Jonkhoff Funeral Home of Grand Rapids, Michigan. David Robert Vorgias age 59 of Ada, flew to the presence of his Lord and Savior on Friday February 3, 2017. Dave was born in Warren, Michigan on March 8, 1957 to the late Philip and Joan Vorgias. He will be lovingly remembered by his wife of 35 years Denise, daughter Laura (fiance Robert Brouwer), son Timothy (Cherry), brother Philip (Gail) and his best friend Chase (dog). 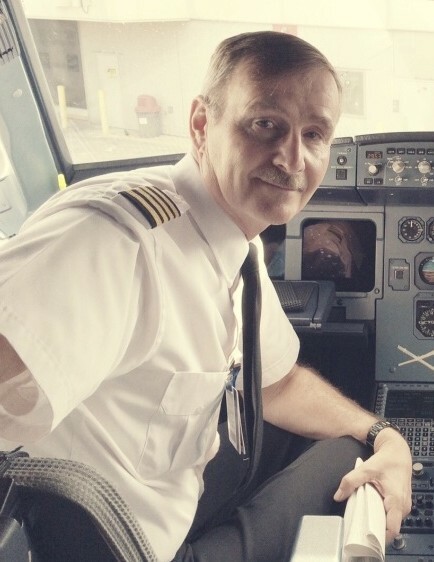 Dave was a former Captain in the Air Force Air National Guard and was also a pilot for 30 plus years for Eastern, Northwest, and currently Delta Air Lines where he was recognized for his outstanding contributions. Other than his love of flying, Dave's first priority was being with his family. He also enjoyed walking Chase, biking, traveling and cooking. He was a loving husband and father who cherished his family and served the Lord in every capacity of his life. He will be greatly missed by all who were blessed to know him. The family will greet relatives and friends for a memorial visitation at the Metcalf & Jonkhoff Funeral Home on Thursday February 9th from 2-4pm and 6-8pm. In lieu of flowers, contributions may go to his family if desired.